Yesterday, I posted footage of the zombie-like behavior of Jewish Voice for Peace members as they chanted their support for BDS founder Omar Barghouti. And if you were disgusted by that (as I am), then you’ll be even more disgusted with the rousing reception received by unrepentant terrorist Rasmea Odeh. Here is how the terrorist is introduced, followed by her speech. Notice how she speaks of continuing the “struggle for justice” for her people and for the right of return – this is as unrepentant a terrorist as you will ever get, and someone still determined to destroy Israel – with the approval of her adoring crowd. Note also the ovation she received after she spoke. 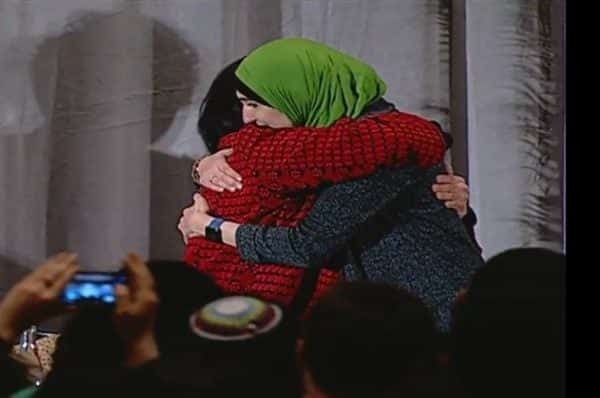 What you don’t see on the video is the huge hug she received from her fellow “feminist” Linda Sarsour..
..who took the podium directly after Odeh, and was also given a rockstar’s welcome. Note how this master propagandist delegitimizes the state of Israel and claims “right-wing Zionists” came together with the alt-right. 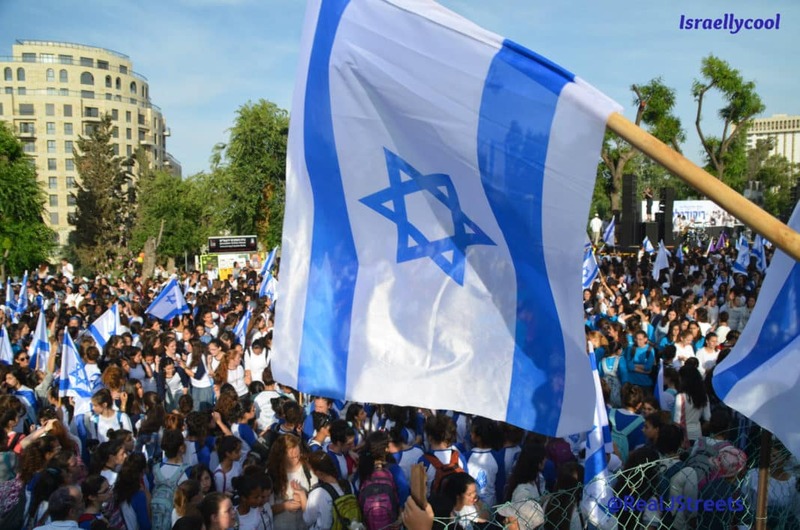 Jewish Voice for Peace is truly beyond the pale. More on this sickening display over at Legal Insurrection.